A castle (from Latin castellum) is a type of fortified structure built in Europe and the Middle East during the Middle Ages. Scholars debate the scope of the word castle, but usually consider it to be the private fortified residence of a lord or noble. This is distinct from a fortress, which was not a home, and from a fortified town, which was a public defence. The term has been popularly applied to structures as diverse as hill forts and country houses. 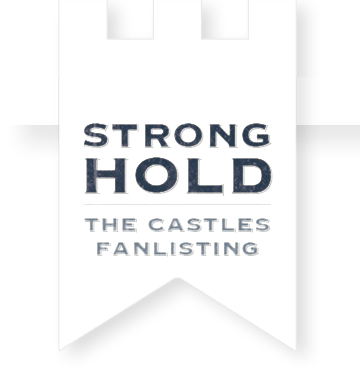 Over the approximately 900 years that castles were built they took on a great many forms with many different features, although some, such as curtain walls and arrowslits, were commonplace. A European innovation, castles originated in the 9th and 10th centuries, after the fall of the Carolingian Empire resulted in its territory being divided among individual lords and princes. Castles controlled the area immediately surrounding them, and were both offensive and defensive structures; they provided a base from which raids could be launched as well as protection from enemies. Although their military origins are often emphasised in castle studies, the structures also served as centres of administration and symbols of power. Urban castles were used to control the local populace and important travel routes, and rural castles were often situated near architectural and natural features that were integral to life in the community, such as mills and fertile land.